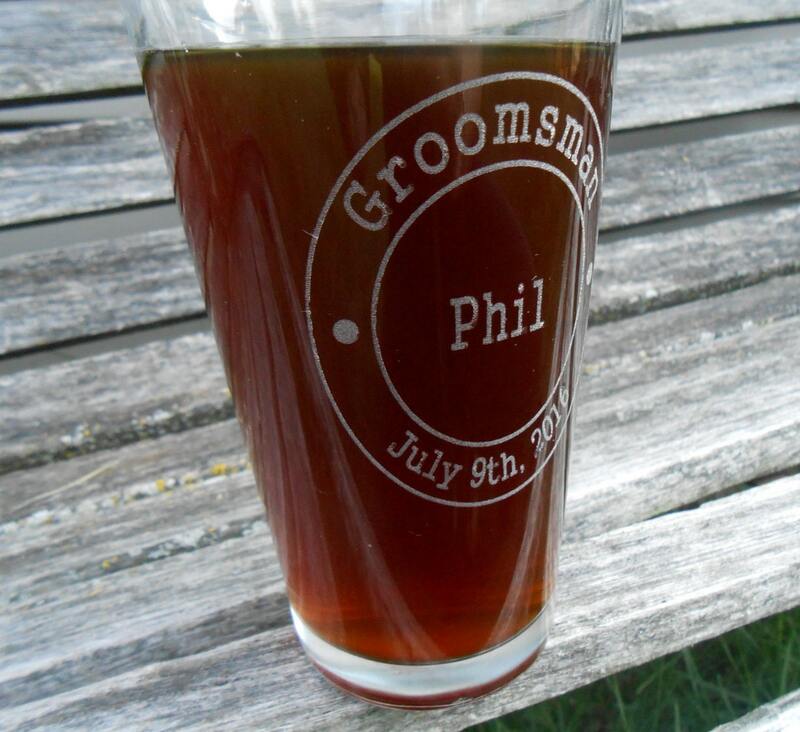 Personalize these 16 ounce pint glasses with names, roles (groomsman, best man, father of the groom, groom, etc...) and the date! These make excellent gifts for anyone. At checkout, choose the amount of glasses you would like to order. 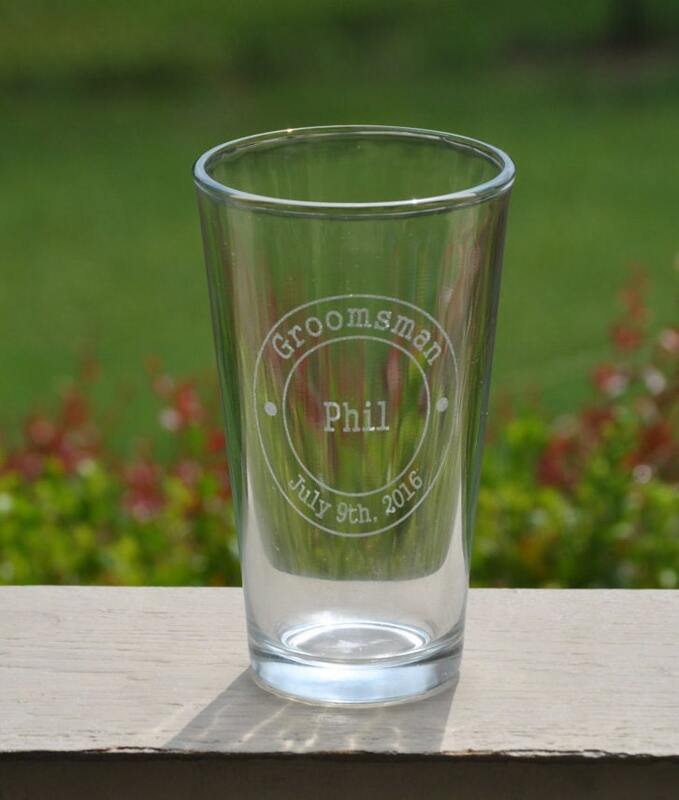 *These glasses are laser engraved using the highest quality, restaurant grade glassware creating a permanent, dishwasher safe image. These will not come off, like the decal stickers do. 1. Select the quantity of glasses you would like from the drop down box on the right. 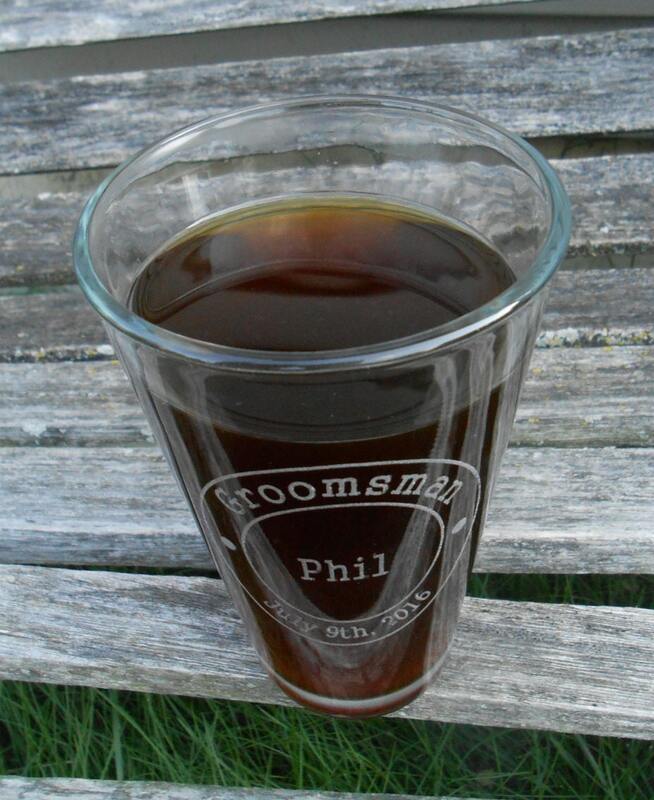 -Name & title that you would like on each glass. It is helpful if you number them, so there is no confusion. 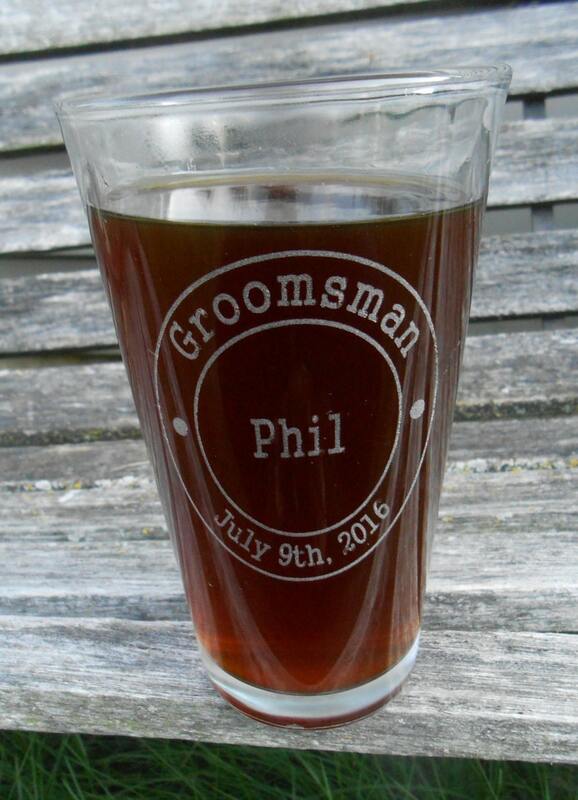 -Date that you would like customized on the glasses. **Please check spellings very carefully! If you would like another font or design, please message us. 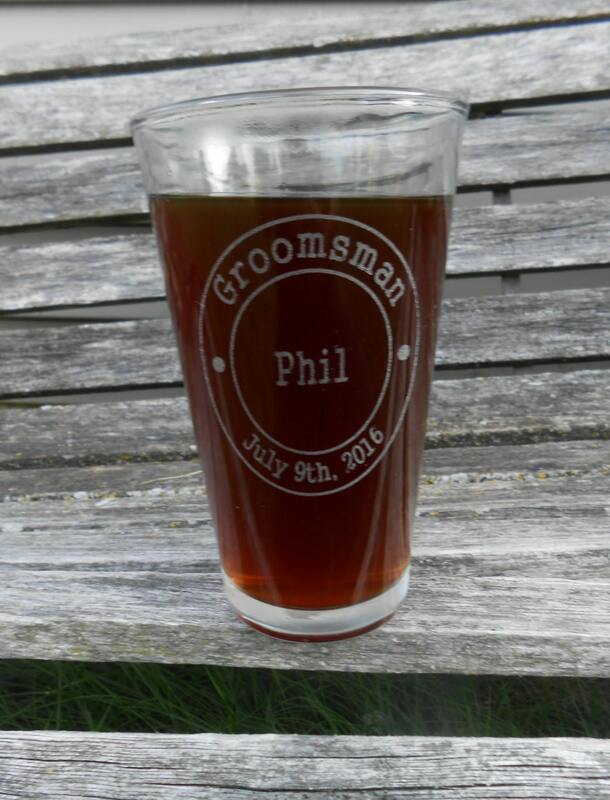 We custom laser engrave each order as we receive them, so please be patient and allow a week or two for production. Large orders may take a little longer. If you are in a rush, please message us and we might be able to do a rush order.